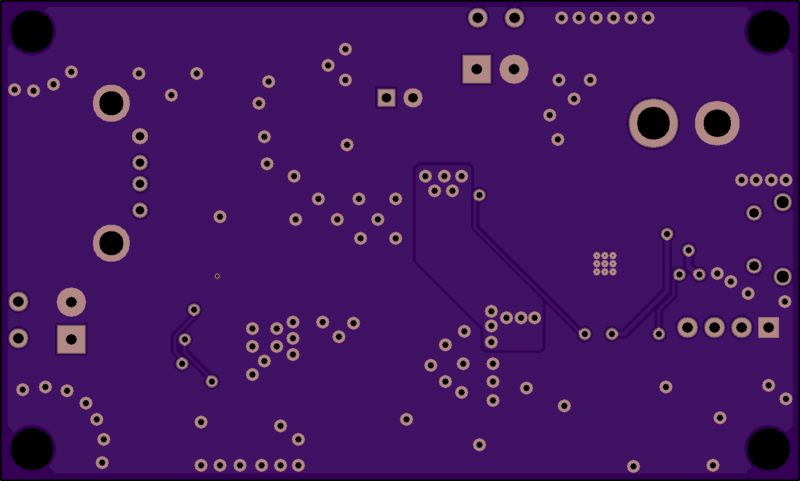 2 layer board of 2.96 x 1.78 inches (75.2 x 45.2 mm). Uploaded: February 8th, 2017 20:38. This UPS is designed for high current projects, including Raspberry Pi, BeagleBone, Arduino, IoT, wireless embedded applications, and similar computing devices. You can power directly from the input. When the input source is removed, power is delivered from the Lithium-Ion battery. An advanced charging algorithm prolongs battery life. 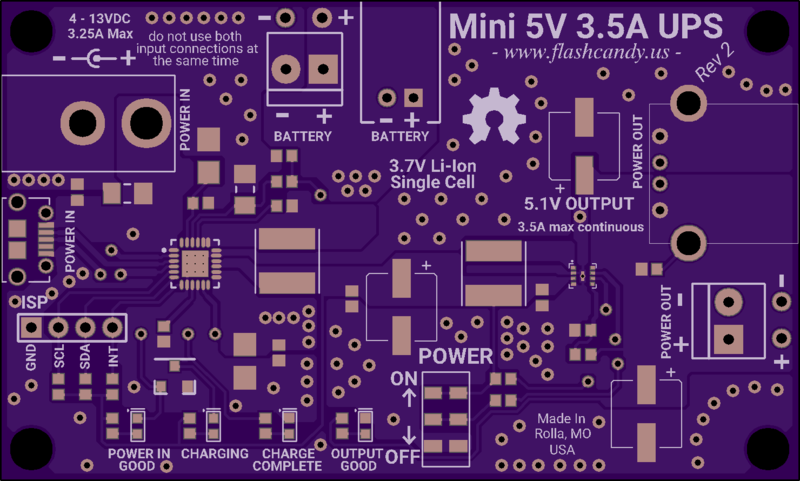 I2C is available for checking battery capacity and voltage. It can also be used for adjusting settings such as max charge rate and input current limit. The microUSB input can negotiate from 100mA to 3.25A with USB MaxCharge and High Voltage Adapters. This UPS is based on the Texas Instruments BQ25895 power management IC and the Microchip MIC2876 boost IC.